Correct operation of lightning protection and earthing systems becomes only obvious when it is called upon to protect a structure or people. 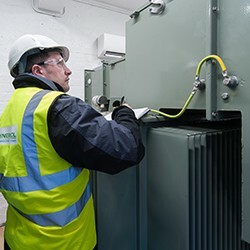 As large parts of the lightning protection and earthing system may be hidden or inaccessible after completion, it is particularly important, that each component of the system should be inspected during the construction stages of an installation. Special attention must be given to any part of the system that will be concealed upon completion. These components may be hidden for aesthetic reasons, however, those components may be an integral part of the structure. Inspections should be carried out not only during the installation process but also upon completion and at regular intervals thereafter to ensure correct operation.